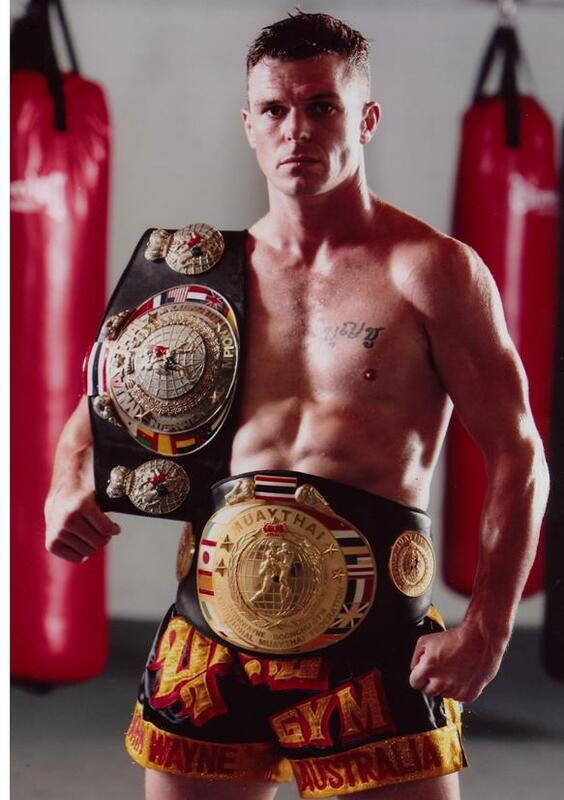 Wayne Parr aka John Wayne Parr started Taekwondo age 11yo before moving onto Muay Thai aged 13, after a year training had his first fight in Sydney aged 14yo and never looked back. Age 17 Wayne won his first title, a WKA Australian title against Mark Pease and aged 19 won a South Pacific title against Scott Lovelock by 5th round KO after a very tough battle. Wayne was then Sponsored by Richard Vell of the Boonchu Restaurant to go and live and train in Thailand, Wayne ended up staying 4 years full time and one year on and off living in a camp and training 2x a day, 7 days a week. Wayne had 40 odd fights in Thailand fighting for Thailand’s number 1 promoter Songchai fighting often on Thai TV, was the first Australian to fight at the famous Lumpinee Stadium, Songchai Stadium, Kings Birthdays and all over rural Thailand. 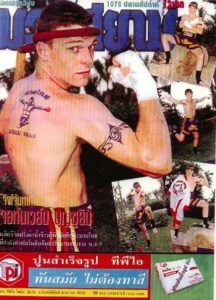 Wayne was also a regular in the Muay Thai newspaper Muay Siam as well as Thailand’s Muay Thai magazines, once even becoming the first westerner to make the cover of Thailand’s number one selling Muay Thai mag Muay Siam. In the year 2000 Wayne won the IMF world title against famous Thai super star Orono on the Kings birthday in front of a crowd of over 100,000 people in the park middle of Bangkok, in 2004 Wayne also won the S-1 world title at Rajadumdern stadium in a 8 man tournament with prize money of one Million baht live on Thai TV. In 2001 Wayne went to boxing for 12 months, in that time he had 13 fights, 10 wins, 10 knock outs also picking up a Australian middle weight title before coming back to Muay Thai as he missed kicking and elbowing people in the face. 2004 Wayne picked up a contract with K-1 where he competed in front of crowds up to 40,000 and had a tv audience in Japan of 20 million. 2007 Wayne travelled to Singapore to be part of the reality television show The Contender Asia, Wayne battled with some of the best fighters on the planet to make it to the final where he took on pound for pound the best fighter on the planet Yodsanklai. Wayne was put down twice in the opening rounds but come back strong to just lose on points. 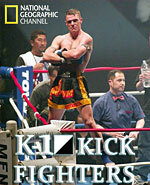 Contender was then aired all over the world and has had a tv audience of close to half a billion people. Wayne was also part of a documentary on National Geographic about training in Australia, Thailand and Japan, this also had a tv audience of 400 million people and has aired in 130 countries. Wayne has had 45 fights on Foxsports television in Australia and with the help of Mark the Hammer made a 2 hour special highlighting all his fights with interviews about each fight with feelings before and after each one, this was aired on Foxsports approx 15 times prime time over the last 3 years and also helped Wayne’s profile on home soil. Since 2007 Wayne has also has been a regular competitor on the Evolutions promotions where he headlines the promotions pulling crowds of 4-5000 fans. 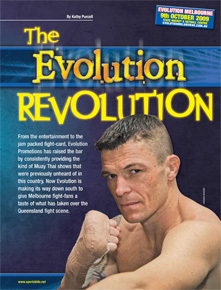 After fighting all over the planet Wayne loves nothing more then fighting in front of his home crowd in Brisbane and has a close relationship with Josh and Nugget who help take Wayne’s profile to the next level getting him the hardest fights out there, helping not only making Wayne a star but to help put Australian Muay Thai on the world stage. My Current record is 104 fights 75w 29l 37ko. 6 x world champion, former Australian Middle weight boxing champion, run a successful gym of the Gold Coast that is well know althroughout the world. I have close to 120 member for fitness and 30 fighters that want to take the nect step to fight, besides all that, I’m a all round top bloke ha ha. We have many fighters in many weight divisions, covering all levels of ring competition. If you are interested in matching some of our fighters on your promotion, please contact us today. We can supply fighters for domestic or international shows. Now watch Blessed with Venom for free. JWP’s life story living in Thailand. Anyone wishing to watch CMT4, you can now buy live stream. CMT4. 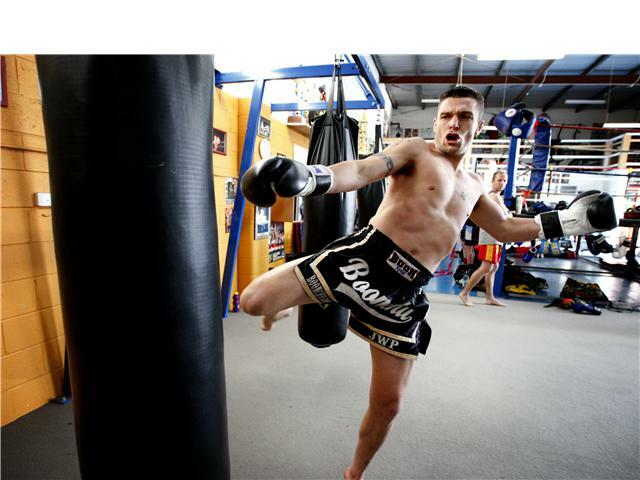 John Wayne Parr vs Yohan Lidon.